If you’re planning on taking the path of cloud security independence, then you’ll want a clear understanding of its many nuances and potential pitfalls, especially with Payment Card Industry Data Security Standard (PCI DSS) compliance. 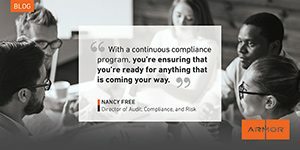 As with most data compliance standards, PCI can behave like a moving target where even the most state-of-the-art data solutions miss the mark and fail to pass an annual compliance audit. The most recent iteration of the PCI compliance standards adds more difficulty than the last as threats and systems continue to grow more complex. Organizations looking to take complete control of their IT environment don’t have to venture alone. To help organizations secure their PCI compliance, this “DIY guide to PCI” paper was written to act as a guide. Organizations will review the essential building blocks of PCI compliance and a listing of general areas that they will find themselves technically responsible for. After reviewing the latest PCI compliance standards and your technical responsibilities, organizations can use Armor’s responsibility matrix for a detailed understanding of the bounds of their responsibilities.